The Prefect of the Secretariat for Communication of the Holy See has a communication problem. Specifically, he has a hard time telling the truth. Pope Francis has a problem, and his name is Msgr. Dario Edoardo Viganò. Hand-picked by the Holy Father in 2015 to head the newly created Secretariat for Communication of the Holy See, Viganò’s tenure has been rocky from the get-go. After nearly three years on the job, and until last week, the great achievement of Viganò’s tenure was an anemic new web portal still in beta testing. That mighty jewel of an accomplishment has now been supplanted by a major scandal, revealing the Prefect’s tenuous grasp of personal relationships, professional ethics, moral obligations to the public, and common sense. What happened? Even the bones of the story are difficult to lay out succinctly but the nutshell version is that the Prefect of the Secretariat for Communications botched a book launch. That’s the sort of thing that can happen to anyone, even to highly competent and well-intentioned publicists. It is also too short by more than half. The controversy — scandal is neither too strong a word, nor inaccurate — began on Monday, and brewed all week (I first posted about it on Wednesday). The details of it are impossible to rehearse succinctly. The broad strokes of it are that Msgr. Viganò tried to score a trifecta: a publicity coup for a series of books published by the Libreria Editrice Vaticana (which is under the control of the SpC) on The Theology of Pope Francis, a tactical media coup to give his principal a boost, and a rhetorical coup in the debates over the nature and scope of Pope Francis’ ongoing project of reform in the Church. Viganò’s grand design began to crack when it emerged that he had not only quoted selectively from a letter from the Pope-emeritus, Benedict XVI, responding to a solicitation from Viganò himself for a “brief dense theological page” engaging the theological content of the books—both during the press conference he had called to launch the book and in the press release announcing the launch—but had also altered a publicity photo in a manner that made pertinent portions of Benedict’s letter impossible to read and ran afoul of the AP’s professional ethical standards. Just as an aside, I would like to mention my surprise at the fact that among the authors figures Professor [Peter] Hünermann as well, who during my pontificate distinguished himself [It. si è messo in luce] for his having headed anti-papal initiatives. He participated in a relevant manner in the release of the Kölner Erklärung [the Cologne Declaration], which, in relation to the encyclical letter Veritatis splendor attacked in a virulent manner the magisterial authority of the Pope [i.e. St. John Paul II], especially on questions of moral theology. Also, the Europäische Theologengesellschaft, which he founded, was initially conceived by him as an organization in opposition to Papal magisterium. 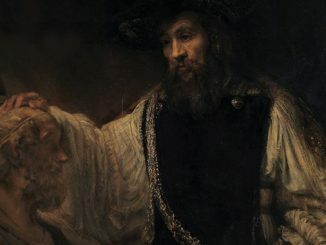 Subsequently, the ecclesial sentiment of many theologians impeded this orientation, rendering that organization a normal instrument of encounter among theologians. I am certain that you will have comprehension for my refusal, and I salute you cordially. So, it is not only that the Prefect of the Secretariat for Communication of the Holy See was using Benedict to prop up Francis. It is not only that the Prefect of the Secretariat for Communication of the Holy See makes selective use of words of his betters when it suits his purpose. It is not only that his purpose in doing so this time was threefold and underhanded: to hawk books and to score points in a major ecclesial debate and curry favor with his current boss. All that is true, and all that is distasteful. The upshot of all this is that the Prefect of the Secretariat for Communication of the Holy See, Msgr. Dario Edoardo Viganò, has a communication problem. Specifically, he has a hard time telling the truth. That is indeed a problem for Pope Francis, who put Msgr. Viganò in the job. More importantly, it is a problem for the universal Church. Whether the problem admits of a remedy short of Msgr. 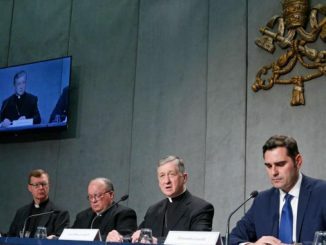 Viganò’s severance from the department he currently heads is beyond the scope of these considerations, the purpose of which has been merely to say what happened. Res ipsa loquitur. The upshot of all this is that the Prefect … has a hard time telling the truth. That is … a problem for the universal Church. Whether the problem admits of a remedy short of Msgr. Viganò’s severance from the department he currently heads is beyond the scope of these considerations…” but one plan to common sense. The Church needs higher and not lower standards of excellence than the corporate world. I need your help to explain the existence of God to my 9 year old great grand son who is brilliant and knowledgeable beyond his years . That’s a tough one, Mrs. Murphy. 9yos can be something to reckon with. I’m sure this isn’t the forum, though. 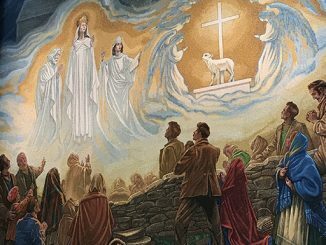 Catholic Answers may have resources. If you are serious, you might consider contacting a priest of Opus Dei, or a priest of FSSP or, if you dare, a priest of the SSPX. Why would you consider your grandson “brilliant and knowledgeable beyond his years”? “Believing” in Greek mythology. Really? So what? He is only nine. You seem to be an easily impressed great grandmother. We are dealing with a Pope who has hired men to do his lying and deceit for him. I am now praying for the end of this underhanded and subversive pontificate. Despeje um balde de agua bem quente em latrina. It’s not a Vigano problem, it’s a Francis problem. I personally know Don Dario Viganò, He’s too clever to have done such a mistake, I’m totally sure somebody worked behind the scenes in order to put him in troubles. He wanted to underline the continuity between the two Holy Pope’s work thus He asked Pope Benedict an important foreword to the opera; only those who deliberately hate Pope Francis organised such bad a thing. Don Viganò is a rare example of clever an devoted man whose ability today is required in order to transform one of the most important communication system all over the world. 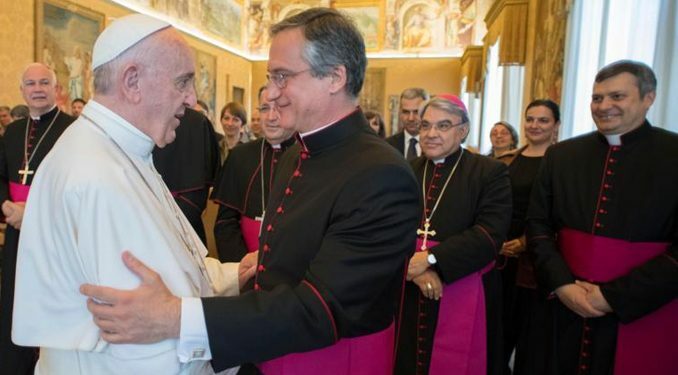 We ought to pray for him and for Pope Francis, and hope their important reform has not to be stopped…They are the future of the Church ….And future is unavoidable… N’est-ce pas? It does not appear to be a “mistake,” but a lie. I don’t see how someone working behind the scenes could have forced him to behave dishonestly. And Pope Benedict refused, because he had not read the 11 books and would not be able to do so both for physical reasons and because he had prior commitments. And Msgr. Vigano concealed that fact. Unfortunately, Don Viganò, who may be clever and devoted, appears not to be particularly honest. And I am sure that there are any number of others who can transform, or reform, the communication system. Oh, *they* are the future of the Church, are they? Just those two? According to whom? And while future is indeed unavoidable – time passes, and we are always heading into the future – that doesn’t mean that any one (or two) person’s view of what the future should be is unavoidably the future that will come to pass.